Moving to Switzerland - Compare International Movers & Save up to 70% ! Moving to Switzerland to live and work is fantastic, but it can be also very stressful. Intlmovers can help you avoid the stress for your international move to Switzerland. You can request up to 6 free international moving quotes within a very short time. After making your online request for your international move, you will receive some customized quotes from international moving and shipping companies. Then you can compare prices easily and quickly in just a few minutes. 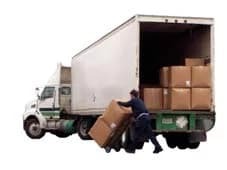 Ultimately you can find the best mover that meets your moving needs and budget. Healthcare in Switzerland is regarded amongst the best in the world. Most EU countries have reciprocal medical agreements with Switzerland. This means that EU citizens can take advantage of the Swiss healthcare system with an EHIC card. Foreign nationals must organize their health insurance within three months in Switzerland. Note that health insurance in Switzerland needs to be arranged separately for family members. In Switzerland CSS is the largest health insurance company. Intlmovers can offer you up to 6 international moving and shipping companies. Most of them have years of experience in international moving and can alleviate the stress of your move to Switzerland. You don’t need to worry about your move to Switzerland because they will handle it for you! Making requests on Intlmovers is completely free and there is no obligation. After making just one request you can get up to 6 quotes from international moving companies. You will be directly contacted by those moving companies. For international moves from Switzerland you can also use our international movers site in the German language.